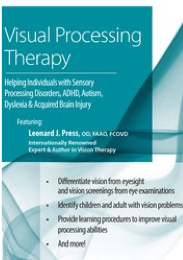 OTs, PTs, Speech-Language Pathologists, and Educators in the course of helping patients with visual problems ranging from children with developmental or learning issues to adults recovering from brain injury. I was delighted when a national group approached me over 10 years ago to put together a course that would increase the extent of collaboration between our professions. 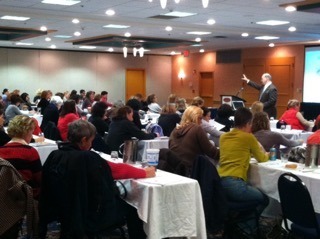 I’ve presented the seminar throughout New Jersey, as well as around the country, and have been gratified by how well the information is received. Here is a YouTube video clip from the DVD of the presentation. The background for the course is provided in the following blog, which also has an early version of the handout embedded. Although it has been updated considerably since then, it will give you a feel for the range of topics and issues covered. Bill Nye the Science Guy, left, and Leonard Press, O.D., take reporters’ questions during a Ready for School satellite media tour July 31. One of my more pleasurable professional experiences came in 2007 and 2008, when the American Optometric Association asked me to serve as a spokesperson for the importance of comprehensive eye examinations. Teamed with Bill Nye the Science Guy, the interviews we did with TV and radio stations across the United States were informative. More revealing were the conversations we had off camera. Bill has developed a strong reputation for science advocacy, and he was sincerely interested in the dilemma that most people don’t understand the importance of visual abilities as related to reading and other aspects of learning. He lives in the Studio City neighborhood of Los Angeles, where we did the filming, and was one of the first residents to install sun panels so that his electricity meter actually runs in reverse! While we all understand that celebrities are paid for their time, I was moved by Bill’s concern about the substantial number of children who are misdiagnosed as having other problems while the significance of vision problems that can be treated with lenses, prisms, or vision therapy continues to be overlooked. When we spent time at his house, he was particularly fascinated by the applications of lenses and prisms and how seemingly simple optical properties could make such a profound difference in processing and performance. Coverage of our media tour was front page news for the American Optometric Assocation, as detailed here. It was wonderful to see that the educational campaign that Bill and I started continued with our good colleague, Dr. Mike Earley, who is the Associate Dean of Academic Affairs at the Ohio State University’s College of Optometry. 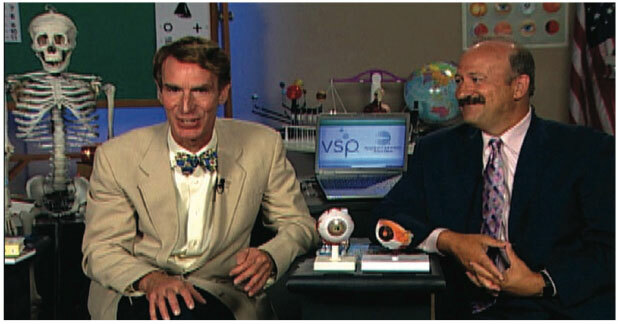 You can view a brief clip of Dr. Earley and Bill Nye here.